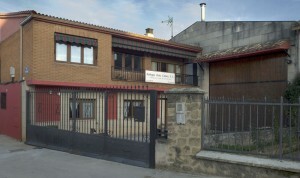 Bodegas Ruiz Gómez SL is located in San Asensio, within the prestigious Rioja Alta sub-region. This fourth generation family winery produces a limited amount white and red wines, primarily from grapes from their own vineyards, and a selection of regular suppliers in the region. The different categories of red wines: joven, crianza, reserva and gran reserva, are mainly produced from the Tempranillo grape variety, which exhibits the characteristics that have given rise to Rioja’s prestige: a high quality fruit that gives a unique, gentle and elegant character to its wines.